In 1992, the United Nations designated March 22nd as the World Day for Water in Resolution 193 of the Forty-seventh Session of the General Assembly. The World Day for Water was first proposed in Agenda 21 for the 1992 Rio Summit, the meeting that hugely raised awareness of the role of local government and local communities in tackling global environmental and climate issues. Since 1993 the day has been observed consistently, drawing attention to the plight of the estimated one billion people plus who each year have to rely on dangerous sources of water to survive. Having travelled a little in India and Africa, turning on a tap and being able to drink a handful of clean, cold water is still something for which I am profoundly grateful. Whilst it is easy to take it for granted, when I think about it I can’t begin to imagine what it would be like not to have it. A year or so ago we had a small taste of what it was like to lose our mains supply for just a few hours. The sense of worry as you wonder when you might be able to wash clothes or make drinks again is out of all proportion to the scale of a relatively small inconvenience. It does, however, cause you to pause and consider how it would be to have to walk miles a day to a potentially polluted stream and draw water you’d be uncomfortable watering the garden with. Each year more than 1 billion of our fellow human beings have little choice but to resort to using potentially harmful sources of water. This perpetuates a silent humanitarian crisis that kills some 3900 children every day and thwarts progress towards achieving the Millennium Development Goals (MDGs). The consequences of our collective failure to tackle this problem are the dimmed prospects for the billions of people locked in a cycle of poverty and disease. The root of this underlying catastrophe lies in these plain, grim facts: 4 of every 10 people in the world do not have access to even a simple pit latrine and nearly 2 in 10 have no source of safe drinking-water. To help end this appalling state of affairs, the MDGs include a specific target (number 10) to cut in half, by 2015 the proportion of people without sustainable access to safe drinking-water and basic sanitation. In addition, the UN Millennium Project Task Force on Water and Sanitation recently recognized that integrated development and management of water resources are crucial to the success or failure of all the MDGs, as water is central to the livelihood systems of the poor. Among the more innovative ideas for drawing water to the surface, one particularly caught my attention, marrying the desperate need for fresh water to a completely different and endless resource: the playful, optimistic energy of children. A simple tap (5) makes it easy for adults and children to draw water. Excess water is diverted from the storage tank back down into the borehole (6). The design of the PlayPump water system makes it highly effective, easy to operate and very economical, keeping costs and maintenance to an absolute minimum. Capable of producing up to 1,400 litres of water per hour at 16 rpm from a depth of 40 meters, it is effective up to a depth of 100 meters. 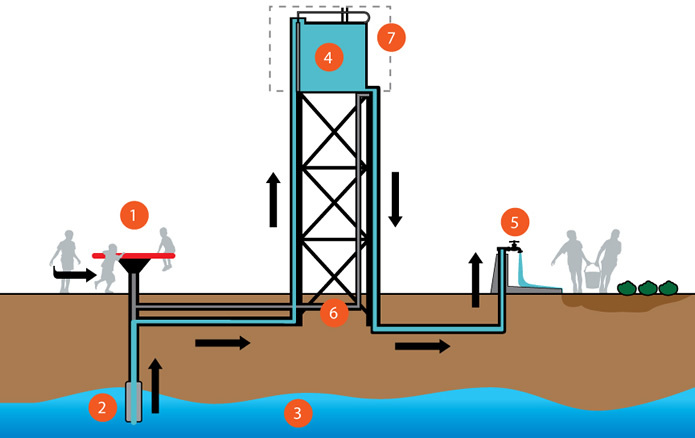 Innovations such as this, which show the application of creative, lateral thinking, create a real hope that the challenge of providing clean water can be met. Days such as the World Day for Water play a crucial part in alerting all of us to the need to act sooner – not later. The video below, again from Water for People, is quite uplifting. Finally, by way of a footnote, I clearly should have written this yesterday – but being tired after a long day I didn’t. So my apologies for lateness (something I seem to do far too often). Elections are distracting affairs and somewhere along the line I missed the return to the internet of one of the most important resources for freedom of information campaigners of recent years: WikiLeaks. Having survived the attempts of the US intelligence services to destroy its activities, WikiLeaks suspended itself at the beginning of the year in order to raise funds to ensure its staff could be paid and that a more robust framework for its vast quantities of information could be established. Wikileaks has become a vital tool of the campaigning trade, especially when attempting to expose the sometimes questionable dealings of multinationals, governments and banks. For instance, WikiLeaks recently reported on the efforts of big pharmaceutical companies to spy on the World Health Organisation. Take a look – and offer any support you can. 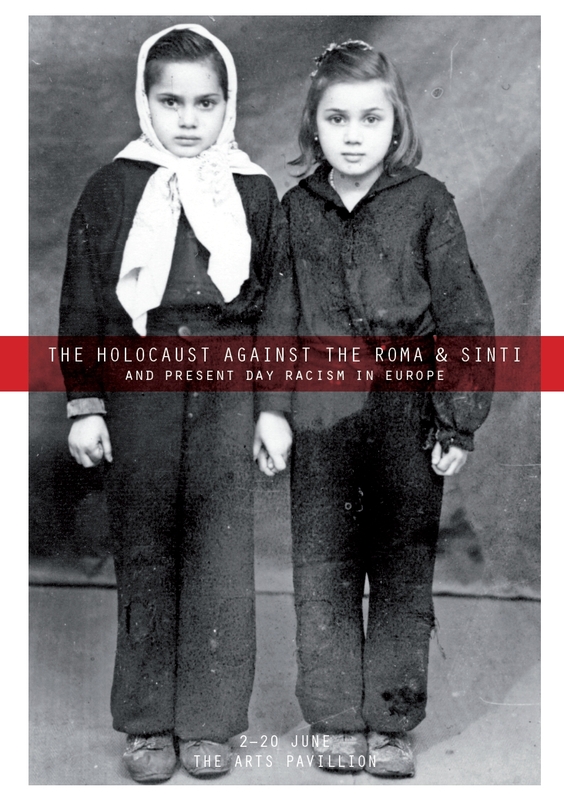 More news from Eva Sajovic, who writes regarding a new exhibition for Gypsy Roma Traveller History Month, this time remembering the Holcaust against the Roma and Sinti in Nazi-occupied Europe. Hosted at the Mile End Art Pavillion, the exhibition promises to be a shockingly intimate and comprehensive documentation of the disenfranchisement, persecution and genocide of the Roma and Sinti communities, the photographs and personal testimonies challenging viewers to consider this episode in the context of post-war prejudice and persecution across Europe. 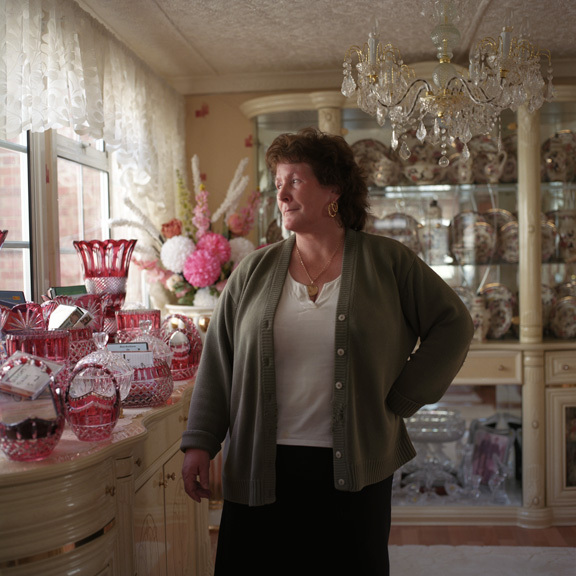 June 2010 will be the third year that Britain has celebrated Gypsy Roma Traveller History Month. There is a shocking amount of ignorance about the historic and cultural identities of the travelling communities in Britain. Few who are concerned about the impact of travellers on the greenbelt will pause to think about traditions that extend back half a millennium, more rooted in the history of the British isles than many would ever imagine. Gypsy, Roma, Traveller, History Month has gained international significance, Gay McDougall, United Nations Independent Expert on Minority issues, issuing a statement welcoming the United Kingdom’s commitment to recognising the contribution of Gypsy, Roma and Traveller communities to British society [see the PDF below]. This year promises to offer the widest range of activities to engage the settled community yet. I hope it crosses your path in places other than this blog. More than anything, I hope we are all big enough to rise to the challenge of considering Gypsy, Roma and Traveller issues with an open mind.